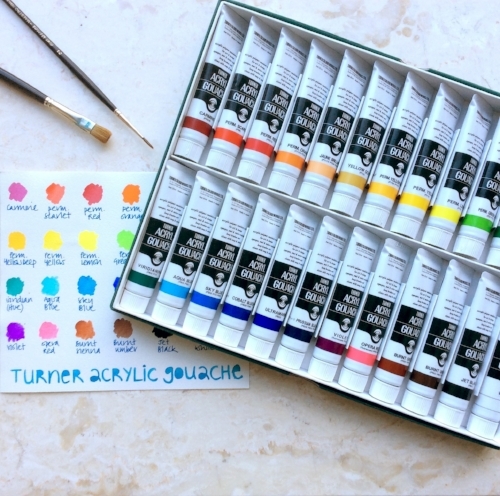 For Christmas I got an amazing spangly new set of 24 Turner Acryl Gouache paints, the colours are soooo vibrant! So, what better way to try them out than joining in with Lisa Congdon's 'Daily Painting Challenge' over at Creative Bug. Here's a little montage of the first 4 days: Gingham, Plaid, Scallop and Argyle. By the end I should have 31 patterns.. fun!